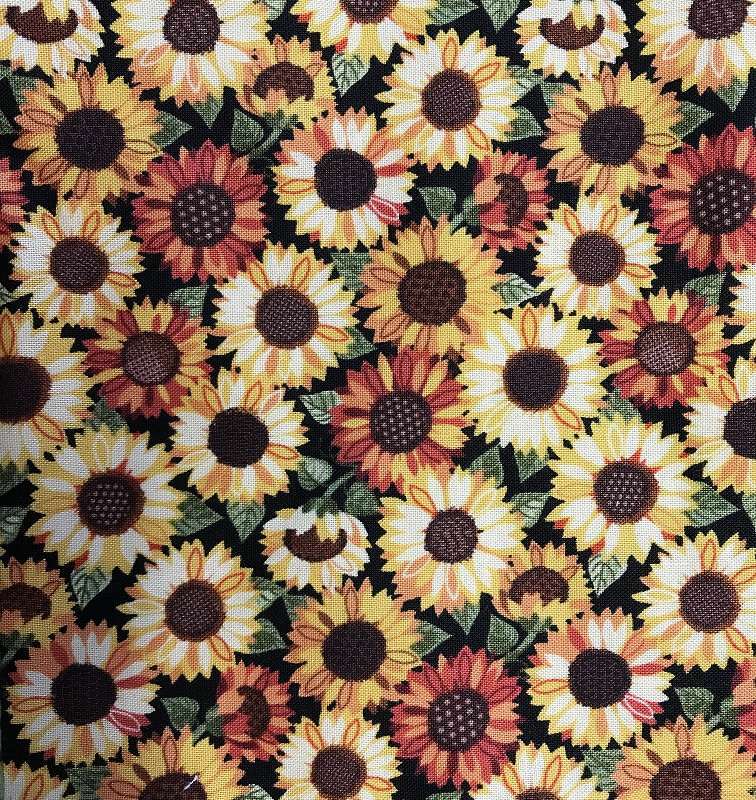 A jolly little package of fabric appeared in my letter box……..SUNFLOWERS!!!! 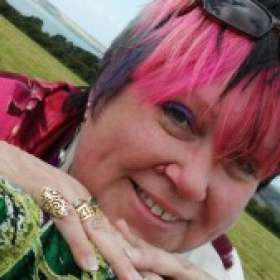 Oh so happy was I….. I have a bit of a thing about Sunflowers they’re my ‘Happy’ symbol. 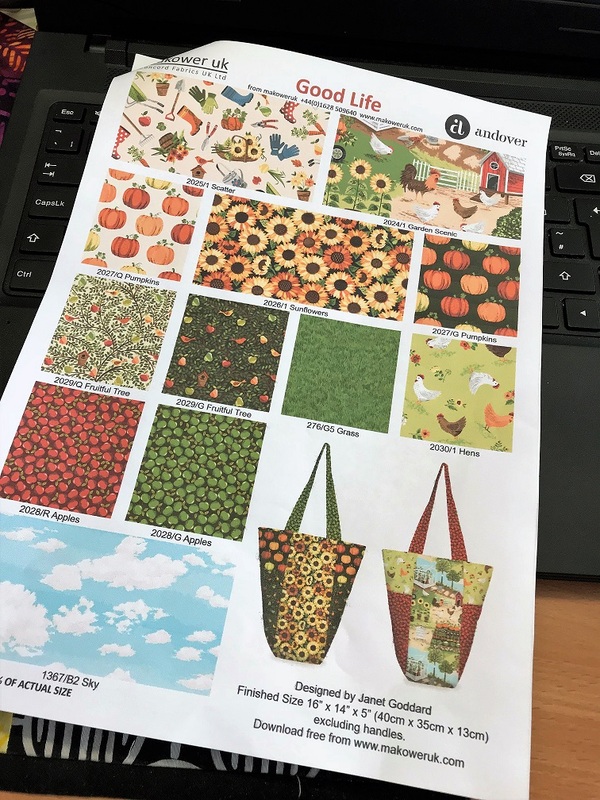 I’d been asked to review the new range ‘Good Life’ from Makower UK, I’d been warned there might be sunflowers involved but there’s all manner of lovely garden scenes, bits, stuff as well!! Sew……I played about and downloaded the pattern instructions and gumph, all good! 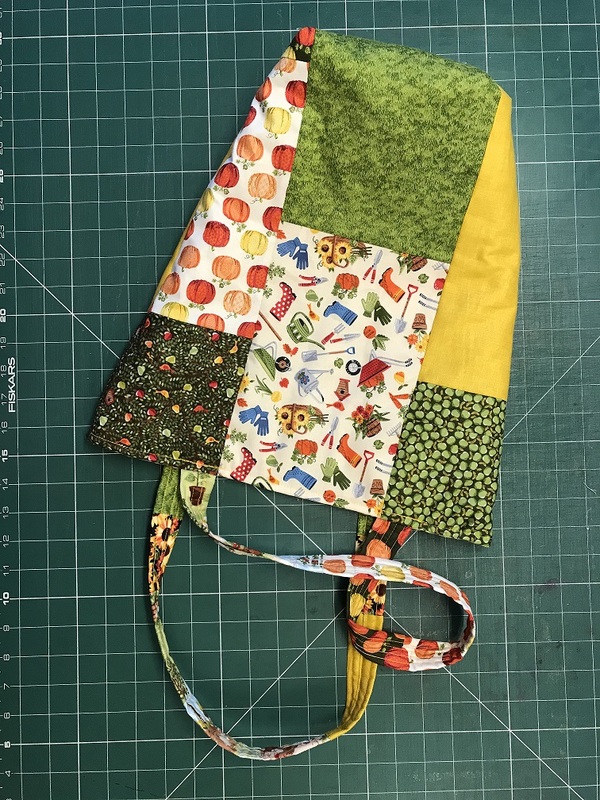 Unfortunately, the samples I’d been sent weren’t quite the right shape or big enough, but then, this is patchwork and what is patchwork if not cutting fabrics up and putting them back together again? I got the measurements and made pieces to fit! 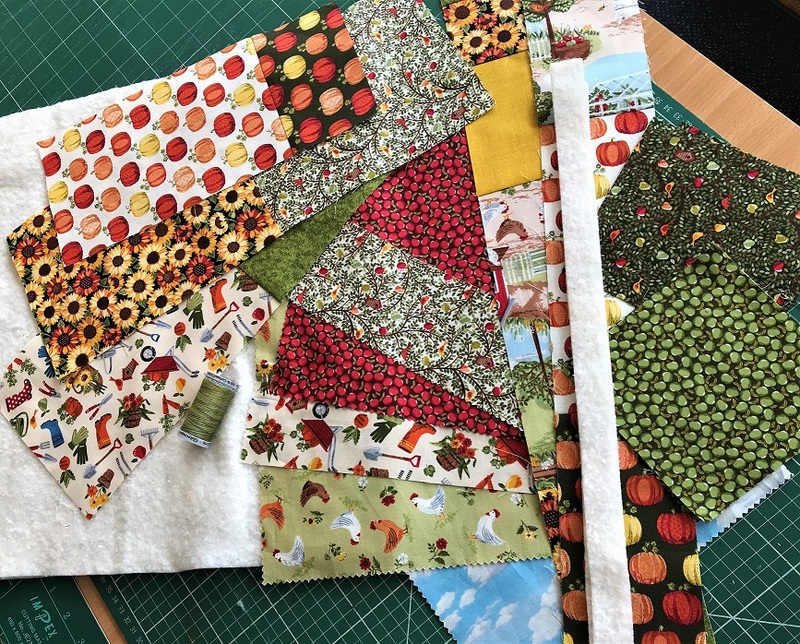 I filled in with Makower’s Linen Texture range which I just happen to have around the place for the Mystery Quilt! The two fabric ranges work perfectly together. If you want plains to go with the ‘Good Life’ range I’d recommend Linen Texture no problems! …….Therefore, the pieces all cut out or made ready to go……. 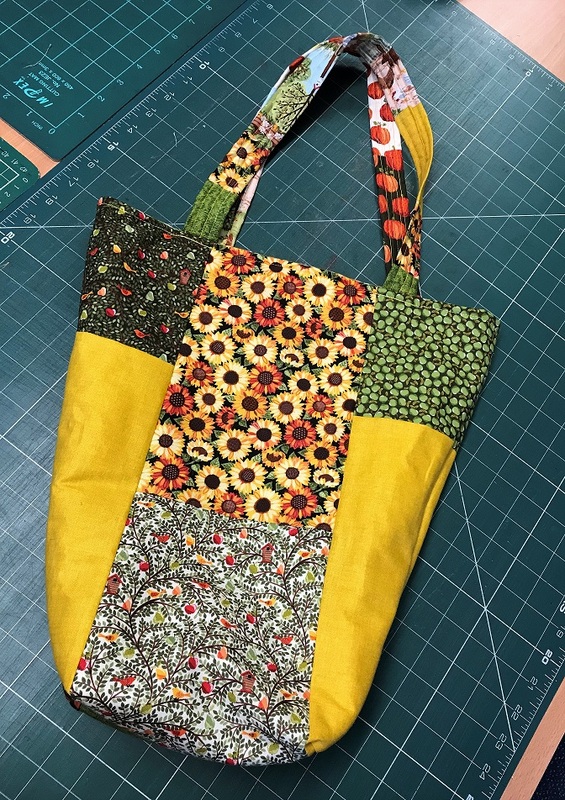 The bag is then made with only a few ‘moments’ along the way, I absolutely love the shape of this bag, ideal for Bondaweb transportation to class me thinks! I intend making another with a few design developments.